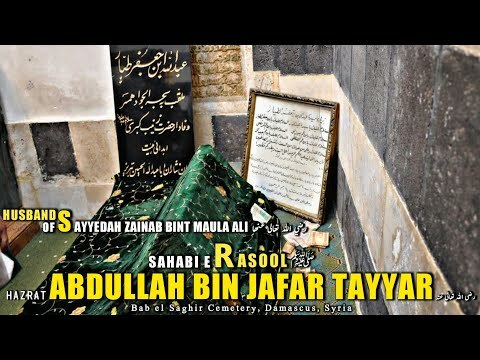 In Damascus, the grave of Abdullah ibn Jafar Al-Tayyar (R.A), the son of Hazrat Jafar ibn Abu Talib and the nephew, and son-in-law of Hazrat Imam Ali Ibn Abi Talib (R.A). Hazrat Abdullah ibn Jafar (R.A) married to Sayyidah Zainab ibn Ali (R.A). Hazrat Ali (R.A) felt a great affection for his daughter and nephew and when he became the Caliph of the Muslims and moved from Medina to Kufa, Hazrat Zainab and Hazrat Abdullah (R.A) joined him. Abdullah ibn Jafar was in Abyssinia or the oversea in-between 615 and 621 and accompanied his father (probably the rest of the family) and Sa’d ibn abi Waqqas in overseas preaching in east Asia (northeast India including Manipur and China)after leaving Abyssinia in 615 by sea. They later returned to Abyssinia by 624, and then to Arabia. Hazrat Zaynab (sa) grew up, many of the noblemen and great men of Arabia asked for her hand in marriage. They thought that due to their wealth and high social position they would be successful in marrying Hazrat Zaynab (sa). For example, Ash’ath ibn-Qeis, who was one of the wealthiest men and a close relative to the first caliph, Hazrat Abu Bakr, was very dignified, and thought his closeness to the first caliph would made it possible for him to become the son-in-law of Amir Al-Muminin, Imam Ali (as). It is said that one day he was in Imam Ali’s (as) house while he saw Hazrat Zaynab (sa) passing by from a distance. Then he asked her father if he could marry her, but Amir Al-Muminin, Imam Ali (as) refused and reproached him for his arrogance. Among the men who were eager to marry Hazrat Zaynab (sa) was Abdullah ibn Jafar. He was a close companion to Prophet Muhammad (saw) and Amir Al-Muminin, Imam Ali (as). Abdullah ibn Jafar was the son of Jafar-e-Tayyar, the martyr whom Prophet Muhammad (saw) had mentioned that he flies in the heavens with his two wings. Jafar-e-Tayyar was the brother of Amir Al-Muminin, Imam Ali (as) and was a forerunner in Islam and Jihad. His munificence and generosity had made him very famous among the Arabs so much so that they called him “the father of the poor.” His son Abdullah ibn Jafar had inherited this attitude. Abdullah ibn Jafar was a person whom Imam Ali (as) had trust in. 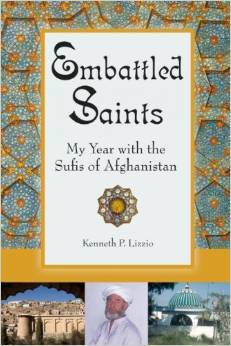 Later he took a great part in the Jihads along with Imam Ali (as). 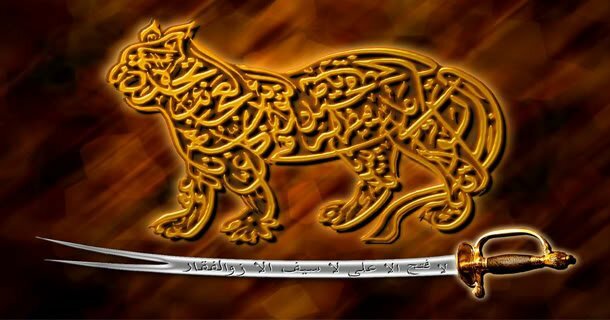 In the battle of Siffinhe was one of the commanders of the Imam Ali’s (as) army. Like other suitors, Abdullah ibn Jafar was interested in marrying Hazrat Zaynab (sa), but felt embarrassed to state his request directly. He sent a courier to Imam Ali (as) and offered the proposal. Imam Ali (as), who saw him the best, accepted his request. But how much was the marriage-portion? Imam Ali (as) put Hazrat Zainab’s (sa) dowry equal to her mother’s. However, this auspicious wedding had one condition. Hazrat Zaynab (sa) should be allowed to travel along with her brother Imam Hussain (as). She should be allowed to visit her brother too. In fact, it rarely happened that they didn’t meet everyday. Finally, this wedding took place, and Hazrat Zaynab (sa) went to her husband’s house. Of course, the house of Abdullah ibn Jafar, who was a very wealthy man, was a big house with lots of servants, but history witnesses that Hazrat Zaynab (sa) never got attached to worldly life. The best evidence of Hazrat Zaynab’s (sa) piety was that she left her comfortable and prosperous life with servants and wealth for a divine and holy goal. Just like a person who is aware of the future and its happenings, she put her condition for marriage that she should be allowed to travel with Imam Hussain (as) to fulfill that goal. Like other women, she was very affectionate. However, whenever necessary, she was strong like a mountain in the path of Islam. Like other mothers, she was a kind and loving mother, but when it came to defending Islam and the Noble Qur’an and her religious duty, she would sacrifice her children as well. Who is like Hazrat Zaynab (sa) in having all that wealth and not being attached to it? Who is like her, having a warm house, nice husband and children, and bear hunger and homelessness in order to fulfilling her holy goals? Is this anything except Islamic piety? Together this young couple had five children, of whom four were sons, Ali, Aun, Muhammad, and Abbas, and one daughter, Umm-e-Kulsoom. Abdullah was also noted for his standing with Ali in battles. Ibn Hajar quoted Muhammad as having said that Abdullah was like him in character and had taken him by the right hand and prayed to God to extend His mercy over the household of Abdullah bin Ja’far. During Ali’s caliphate in Kufa, Abdullah was one of his four chief lieutenants (the other three were Ali’s three eldest sons). When Husayn received a request from the men of Kufa to come and lead them, Abdullah urged him not to go unless the Kufans first overthrew their Umayyad magistrates. When Husayn nevertheless left on the expedition that ended at Karbala, Abdullah sent his young sons Aun and Muhammad with his wife, Husayn’s sister Zainab. The boy said, “As you may be aware there are no dogs living round here. This poor creature must have travelled a long distance to reach here and it must be feeling very hungry. So, I felt ashamed to send it away, without serving it any food.” Hazrat Abdullah Ibn Jafar (R.A) said, “What will you have for food today?” “I shall go without food for a day, which I don’t mind,” said the boy.